Your privacy is important to us, and we want to communicate with you in a way which has you consent, and which is in line with UK law on data protection. As a result of a change in UK law (from 25 May 2018), we now need your consent. You can find out more about how we use your data from our “Data Privacy Notice” which is available to download here. Enjoy board games, craft and activities? 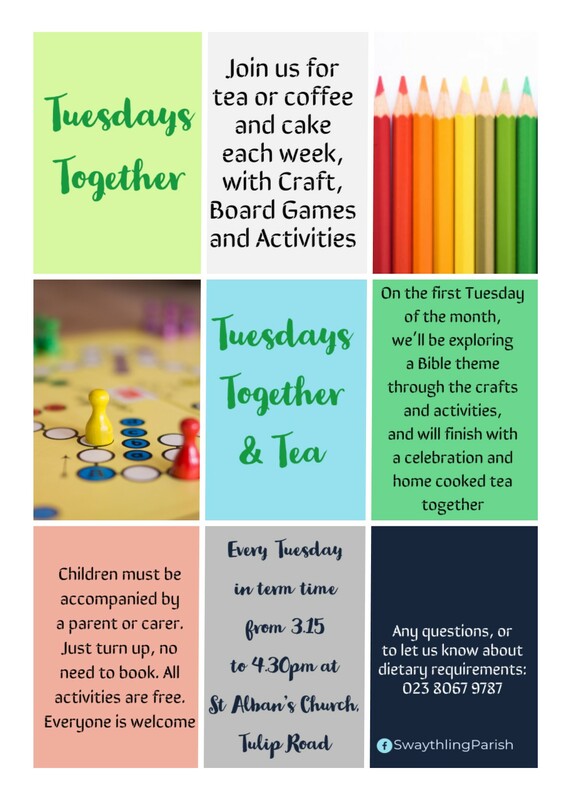 Come and join us at Tuesdays Together, every Tuesday in term time at St Alban’s Church Community Room from 3:15pm till about 4:30pm.